For those suffering from TMJ disorder however, the pain and dysfunction experienced in the jaw joint and related muscles are nothing to smile about. What can you do to ease TMJ pain without making things worse? Schedule an appointment with your dentist in Visalia Dr Michael T. Bodensteiner, and try these 5 tips. Balance the duties —Some get in the habit of chewing on one side of the mouth more than the other. Be conscientious about chewing on both sides equally to avoid unnecessary strain or tension. Break it down —Biting into whole pieces of fruit, oversized burgers, or other foods that require the mouth to open wide can overtax the jaw and exacerbate pain and discomfort. Cut food into smaller pieces when necessary. Soften the pain —Hard, crunchy food choices like raw carrots and celery, or nuts and seeds may be tasty and nutritious, but they can also require a lot of extra intense chewing. Choosing softer, equally healthy foods can help give your jaw a break from the daily grind. Drop bad habits —Avoid nervous habits that can aggravate jaw discomfort like grinding teeth and tensing jaw muscles when under stress. Also, watch for chewing on pens and fingernails, or crunching down on hard objects like ice or candies. Take a break —Chewing gum can cause severe pain that is not easily alleviated. 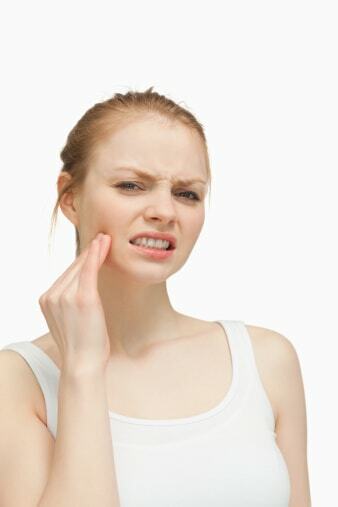 If you suffer from a type of facial muscle/joint disorder, consider modifying, or even halting your gum chewing habits. Don’t forget to share these tips with your friends and family. These steps are precautions to help avoid further aggravation of TMJ disorder, and are not treatment solutions in themselves. Contact Dr Michael T. Bodensteiner today to learn more about our high-tech methods for treating and relieving TMD.